The 2017 - 2018 Season starts 45 Years at Saturday Hockey. The Season Starts Saturday October 14th 2017 at 3:20 PM at the East Boston Rink. New players email me at the above address and get your name on our list. The Ravagno Hockey Club was established in 1973. 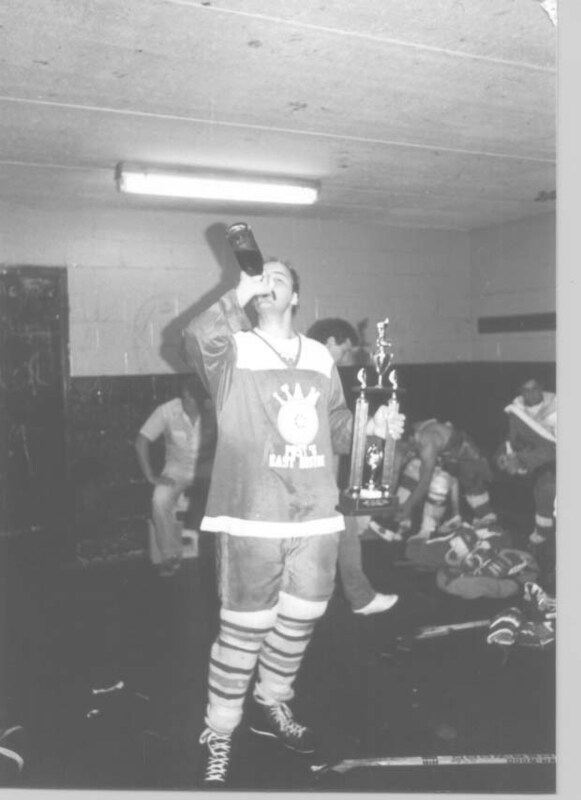 Every Saturday since 1973 at 4:00PM we have owned the Ice. We actually started off as the St. Mary's CYO Moose Hawks. The M.D.C. would only rent the ice to us only if we belonged to some type of organization. We were all in High School and I was fifteen so I lied and we got the ice. Our Group from St. Mary's would play the guys from Falcon St. This lasted a year or two until the guys from Jefferies Point challenged us. This went on a couple of years until we were all out of High School. In 1978 few of us got jobs at a Company from Malden called Data Printer. We had a few new faces join the group and the hour was called "Data Printer". As time moved on though the 1980's we still all played together. Data Printer went out of business and I just changed the name to Ravagno Club to make things a little easier. Life seems to stay still for us at 4:00 on Saturdays. 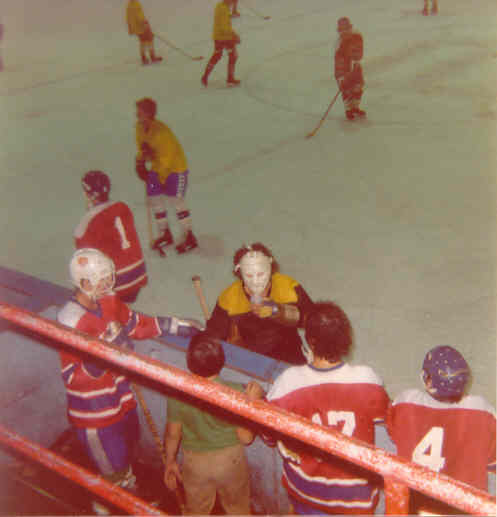 I still play hockey in a rink that most of us had learned to skate in. I really consider myself a lucky guy. Being surrounded by people I grew up with, familiar faces from the past. The smell of the Porazzo Rink in East Boston, the roar of the jets coming from our neighbor across the water at Logan Airport. We have had a lot of sucess coming from our Saturday hour. 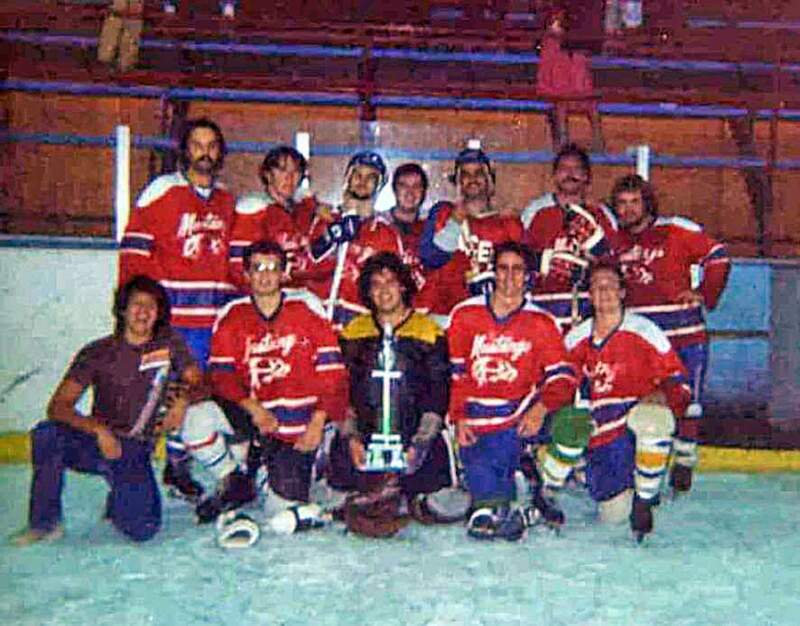 In 1979 the East Boston Sr. Mustangs won the no check league at the Town Line Twin Rinks in Danvers. 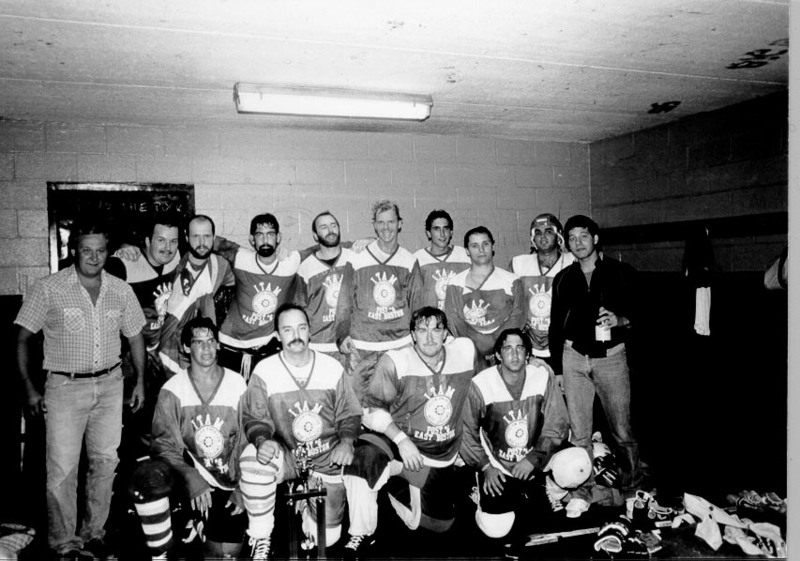 The summer of 1984 we were sponsored by the Itam Club Post 6, East Boston. We walked away with another championship from the Town Line Twin Rinks. 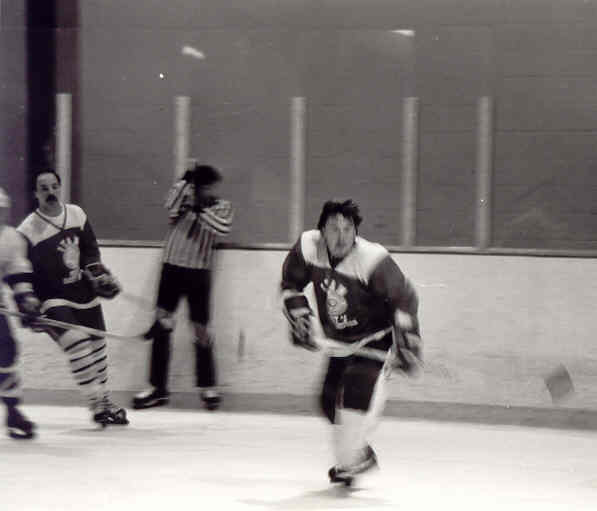 During the 1980's Ray Avola also had a team in the Summer College League up at the Twin Rinks. 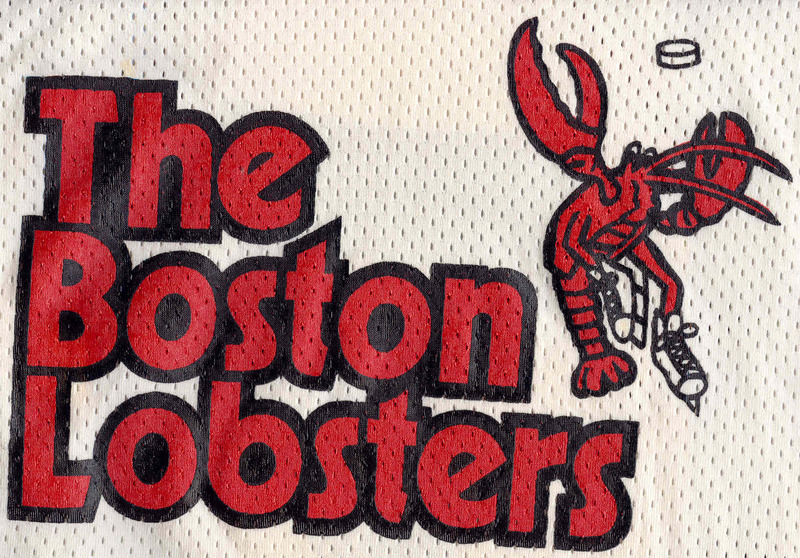 They were Sponsored The Boston Lobsters World Team Tennis, the Hockey Team was known as the Boston Lobsters (Hockey) and coached by Leo Shanahan who is currently the Assistant Coach at Northeastern University. 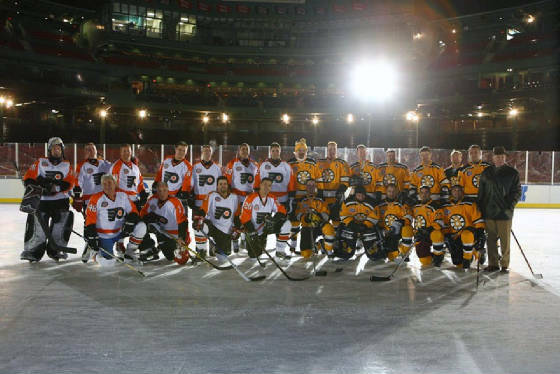 Many of these players came from Saturday Hockey. In these changing times and the world being what it is today, I consider myself lucky. I miss my brother who can no longer play nets. I also miss my friends who haved moved away. To those who wives wont let the come anymore I want you to know the first beer every week goes to you. The last beer will always stay with us and thanks for the chuckles on your expense. Real men are warriors, we have the need for battle. Today we maybe in our fifties we battle like we are in our twenties for tomorrow we will hurt like we are in our seventies! I just updated the last line, time is passing us by seems like at light speed. The taste of VICTORY is so SWEET! Jimmy with a Bottle..Kevin with no Bottle. What's wrong with this picture?? Steve Farro, Mario Sinatra (presenter) and Jimmy Ravagno. Itam Club Post Six Honored at the 34th Annual East Boston Athletic Board Banquet of Champions. 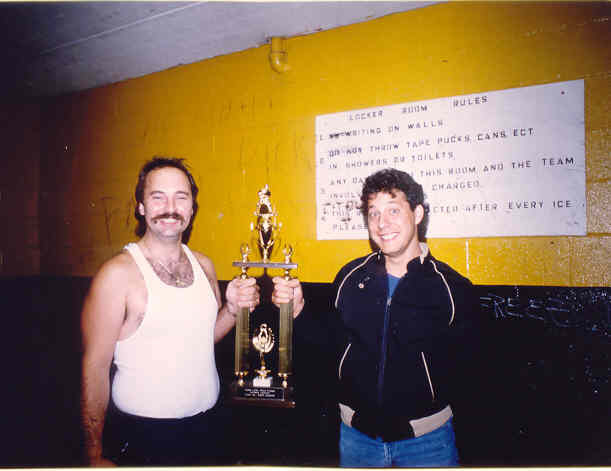 That's Rick Middleton from the Boston Bruins on the left. Hey Jimmy, stay back I'm rush'en the puck. 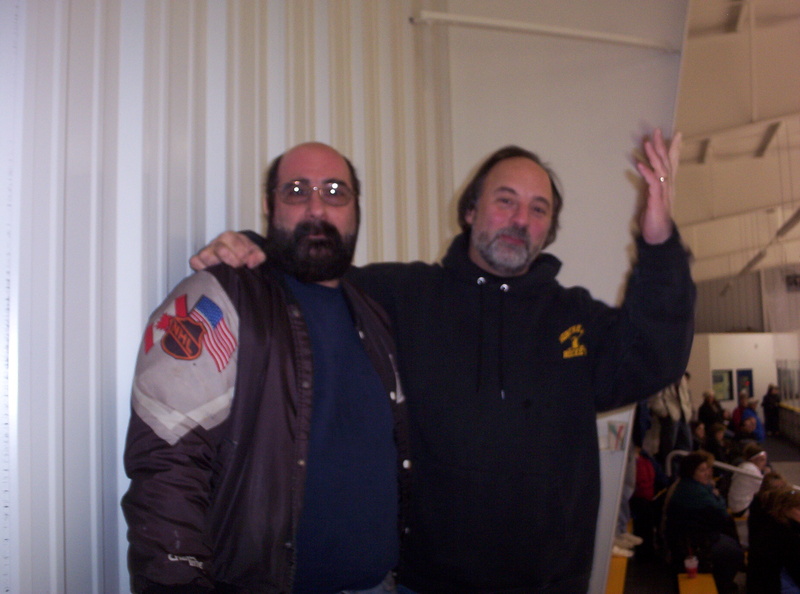 Jimmy Ravagno and Kevin Howard. I will try to keep this site up to date. If by chance I forgot your name please let me know. New skaters please notify me before showing up! Please let me know your status, if you're coming or not! Fenway Park December 22nd 2009 9:00 PM 18 degrees!! Bruins won!! You know your getting old when your spotted watching Hockey instead of Playing! 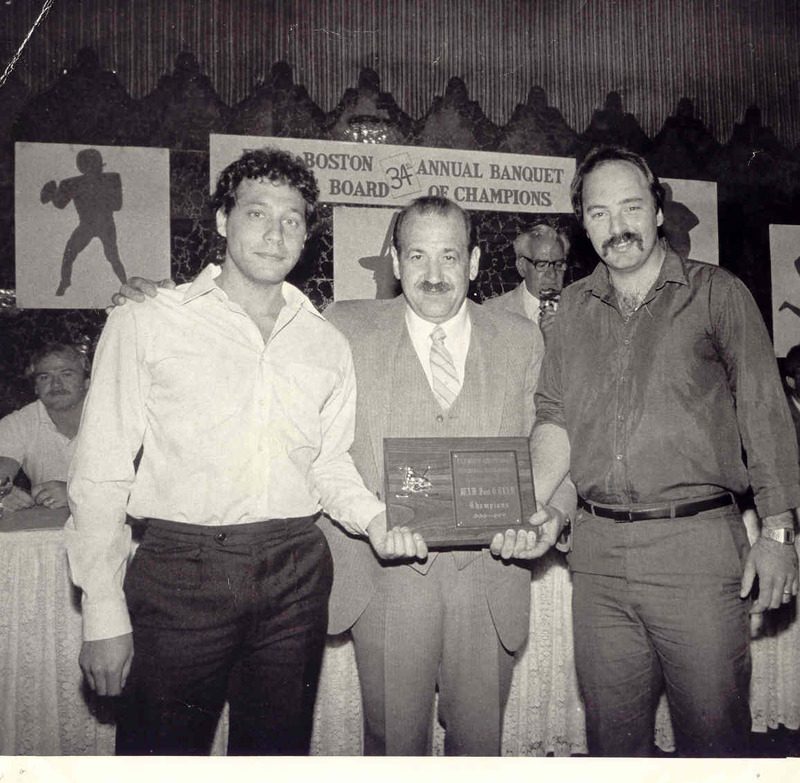 Steve Farro, Tommy Ravagno and Rick Esposito (1975). 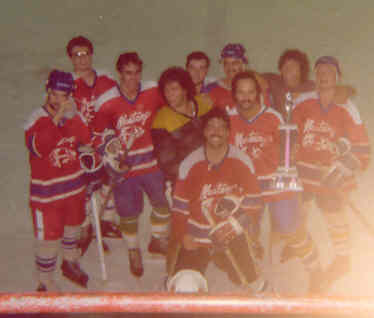 ITAM Post 6 1984 Town Line Twin Rinks Indusrtial League Champs. Front Row:Steve Scenna, Jim Ravagno, Kevin Howard, Steve Karoyan. 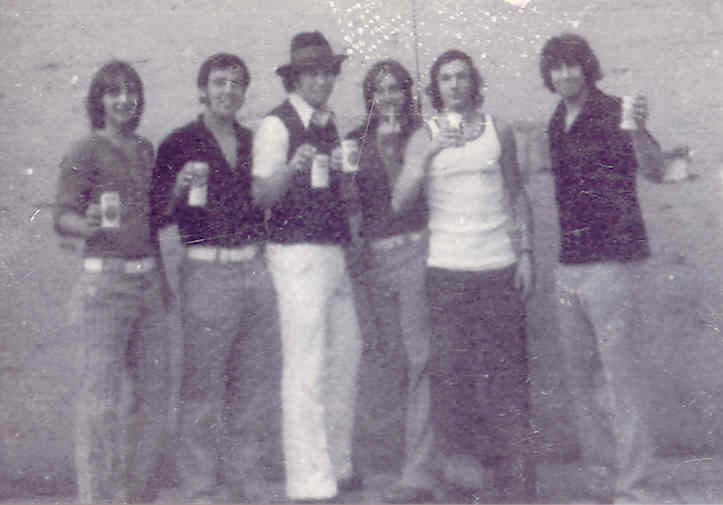 Back Row:Paul Mazzerella,Bill Sweeney,Jerry Sweeney, Kim Karoyan, Charlie Sweeney,Fran Sweeney, "Buzz",Jay Duca, Mark Vieira, Steve Farro. Missing from photo: Steve Prisco, Dave Surrette. #1 on ice Mike Cambria. 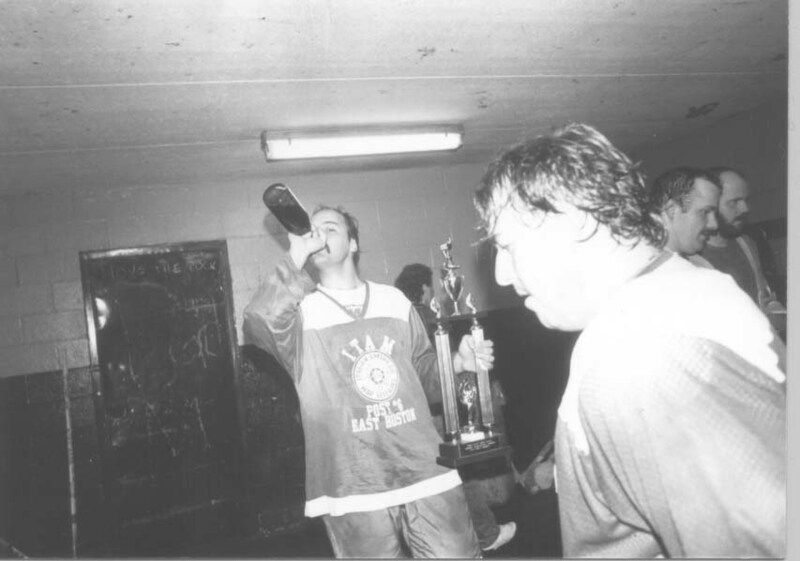 Goalie, Ray Avola. In bench Chris Rizzo, Funa's Nephew, Jim Ravagno, and Jim Funicella. 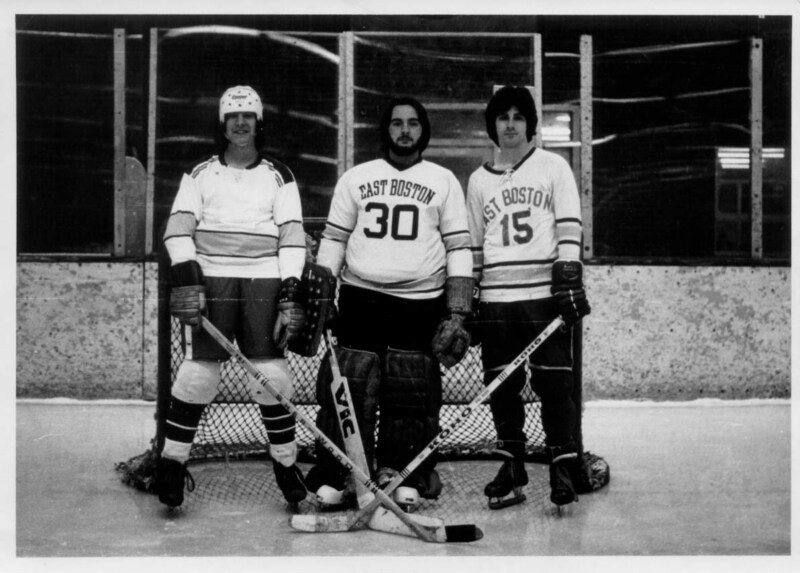 Mike Cambria "Maybe Some Day" or "My Brothers stole my hockey equipment"
We play every Saturday during the winter from 3:20PM to 4:10PM at the East Boston - Porazzo Memorial Rink, Constitution Beach, (617)567-9571(Shea's Beach).